How To Really Improve Student Academic Achievement. We all know that the graduation rates are a poor indicator of student academic achievement. There are too many gimmicks used by the City and State to show academic progress when the reality is that there really is little, if any real progress over the years. The extensive use of "credit recovery", Principal pressure to pass them along and make it society's problem. 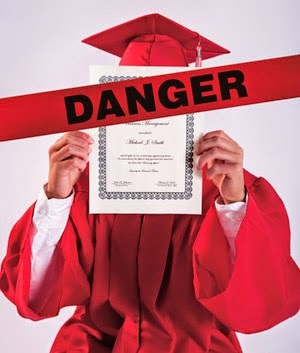 When these students leave the school system unprepared academically for the real world with their devalued high school diploma, it becomes a worthless piece of paper when these poorly prepared students can't fill out a job application form or show up to work on time. 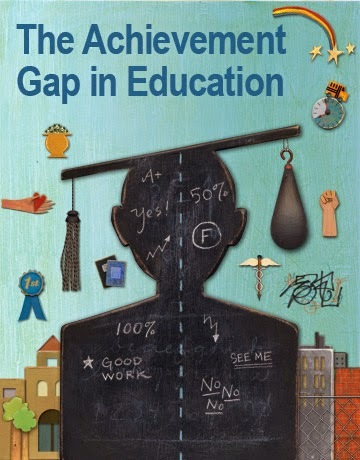 The income/racial academic achievement gap is unacceptably wide and the policies out of the DOE has not resulted in any real progress to narrow the achievement gap. The question is how can we really improve academic achievement? Here are my ideas. First, we need to reduce class sizes across the K to 12 spectrum. Having up to 34 students in a class is not conducive to a proper learning environment. The ambient noise level in a crowded classroom hampers learning. Furthermore, it gives teachers little chance to work individually with struggling students with such large class sizes. Mayor Bill de Blasio had promised to reduce class sizes and use the CFE funds, earmarked for this purpose. However, his disappointing Chancellor, Carmen Farina, has failed to do so. Second, reduce the bureaucratic bloat at the DOE where an increasing amount of funds are allocated to the Central Bureaucracy, their high priced consultants, and technology programs like ARIS and SESIS, while the school budgets are frozen and average 14% lower than it was back in 2008. The freeing up of additional funds and redirected to the schools will bring more resources to the schools and provide students with the necessary supports to help them academically. Third, encourage the hiring of experienced teachers by eliminating the destructive "fair student funding" that forces principals to hire the "cheapest and not the best teachers" for their schools. How can any right thinking educator believe that hiring "newbie teachers" who have a steep learning curve and lack curriculum knowledge and classroom management skills is good for struggling students? Worse, 50% of these teachers will leave the school system within five years and 80% of the teachers that remain in the system usually leave the school that hired them. This instability and teacher turnover wastes time and money as many of these teachers need to be mentored and as they attempt to acquire the necessary teaching skills. This should include the removal of the poorly trained "Leadership Academy Principals" who have little real classroom experience and don't collaborate with their staff as a result the students suffer. Fourth, have stringent and enforceable student discipline codes. Too many school administrators look the other way when students misbehave and blame the classroom teacher rather than take appropriate action. The result is an out of control school and continued disruptive behavior in the classrooms that make learning next to impossible due to the chaos. Fifth, make all middle and high schools magnet schools that can attract high achieving students from their and other communities and hopefully bring diversity to the school's student population. The City schools are too segregated by race and that's a problem. By encouraging students to follow a path that best suits their interests will stimulate their love for learning and will help them improve their academic outcomes. This would include vocational, CTE, and academic programs. Sixth, recombine failing small schools that were carved up from the large comprehensive schools such as Campus Magnet, Far Rockaway, Springfield Gardens, all the Bronx schools, and many of the Manhattan and Brooklyn schools. The shared resources and additional courses will enhance the variety and scope of the academic experience for the students. All the various improvements to the schools will result in nothing without addressing the social-economic factors such as family, community. and poverty that makes up over 80% of a child's development and damages the student's ability to learn. Therefore, the City must step up efforts to deal with these issues otherwise its like putting a bandage on an infection without treating the source of the infection. Why The NYC Graduation Rate Does Not Reflect Real Academic Achievement. With much fanfare, Mayor Bill de Blasio and his disappointing Chancellor, Carmen Farina, took credit for an almost 3% increase in the high school graduation rate. The graduation rate has improved from 61.3% to 64.2%. Statewide, the graduation rate was 76.4%. Sounds like we are on the right path in improving student academic achievement? Wrong! the graduation rate is being manipulated and this is reflected by the college readiness scores, be it the State or City definition of "college and career readiness" (Citywide college ready is 32% and lower if you use the State's college ready scores). How is the City's graduation rate manipulated? Let me count the ways. Credit Recovery: This is one of the best ways schools have used to add empty credits to a failing student's transcript. While the State forced the DOE to crack down on the awarding of credit recovery courses, the abuse continues throughout the system. Principal pressure: In most every school I go to teachers complain that the Principal demands a passing grade for 80% of the students on the teacher's roster. Otherwise, the teacher will be rated poorly. I personally experienced it at Flushing High School in 2012. Moreover, a school's grading policy allows a student to fail most of the year but pass the class at the end if they get a passing rate in any one period by limiting the failing grade to 55 and no lower. Remember this attempt? Take a look at the 65% bulge at a school and the bigger the bulge the more likely the students who were granted a passing grade were academically unprepared for the adult world. Alternative Settings: Many struggling students who are in danger of dropping out are sent to alternative settings such as transfer schools, YABC programs, and massive online courses through APEX or Castle learning. These settings are simply used to give students who would otherwise have not graduated an opportunity to graduate. While I understand the need for such programs, it does devalue the education requirements. Moreover, that doesn't make them academically prepared for the real world of a career. It's nice that the graduation rate is improving but when it comes to real academic achievement I have my doubts that many of these students graduating are academically ready for either college or a career. The pushing out of academically unprepared students by giving them phony diplomas and expect them to become positive role models for the next generation that desperately needs them is wishful thinking and a failure to properly address the issues of poverty, family, and community that's the major problem in our City. Once again its Christmas and poor old Santa Claus finds himself in hot water yet again. This time Santa Claus was hired in one of those Bloomberg small schools, despite his checkered past, because he was inexpensive and untemured. The Principal, a 35 year old with two years of teaching experience and straight out of the "Leadership Academy" told the not so jolly old Santa that he was expected to work a "sixth period" without compensation as he called it student assistance and also handle the school cafeteria. During the semester Santa tried hard but the students were a challenge, many of them were two or three grades behind and many had behavior issues that the Administration ignored. When Santa tried to impose discipline of his own in the classroom he ended up with the Leadership Academy Principal giving him a letter to the file, not once but three times for verbal abuse. His fourth letter to the file was for corporal punishment as OSI substantiated that he told one badly behaved boy that he would be getting coal in his stocking for Christmas. He also had an SCI investigation initiated by the Principal who claimed that Santa called some of the girls hookers. Santa explained to the SCI investigators that he said "ho, ho, ho and never called them hookers. Of course SCI substantiated the Principal's accusation that he used verbal abuse of a sexual nature and received yet another letter to the file. The administration provided no support and came into his classroom for "gotcha observations". 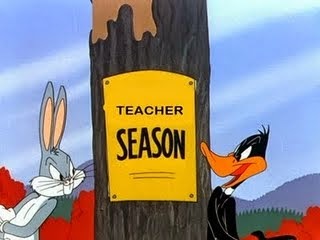 When Santa Claus asked the Assistant Principal to model a lesson, the AP laughed and said that's your problem not mine. Santa Claus found himself swamped with tons of paperwork, useless professional development, and calling or scheduling meeting with parents who didn't even bother to answer the phone or appear for their appointments. Worse, many of his students needed special education services but were either not receiving them or the school never hired certified personnel such as therapists, social workers, or guidance counselors because of the Principal's obsession to save money. The less services provided for the students the more money the school has. Worse, poor old Santa found nobody on staff to talk to. .There was no Chapter Leader and the staff consisted of 20 something newbies, many of them two year Teach For America wonders. Finally, Santa had to prepare for Christmas and asked to take a personal day. However, the Leadership Academy Principal refused permission and told Santa if he takes a day off between now and the end of December, he will discontinue him. Santa reluctantly complied and on the last day of school, two days before the Christmas vacation, Santa was handed a letter by the school secretary that stated that he will be discontinued as of February. Santa contacted the union who expressed regret and said that they will represent him in his appeal to the Superintendent but alas, we know that those appeals are never won. Poor Santa Claus, his every attempt to spread joy to the children of the NYC public schools is thwarted yet again. This time by the Leadership Academy Principal. The City's Economic Recovery Continues With Projected Surpluses. In my last post I wrote about how the "City pattern" that the UFT and the City agreed to was "ugly". From the members it was short on money, screwed various groups (people who resigned and ATRs etc) and too much of the retroactive raises were deferred out to 2020). For the education reformers and conservative think tanks and their media allies it was a "giveaway" that will eventually bankrupt the City. Now we find that the just released Independent Budget Office (IBO) report has revised their projections to show existing and future surpluses rather than deficits for this and the next three fiscal years. According to the just released IBO report the City has a $744 million dollar surplus this fiscal year and projected surpluses of $634 million dollars for the 2017 and 2018 fiscal years when previously the City had claimed a one billion dollar deficit. While next year's budget still shows a $184 million dollar deficit, the very conservative projections the IBO uses and the continued economic recovery will not only wipe out the deficit but will result in large surpluses for next year and the years ahead, barring a worldwide economic collapse. Furthermore, the economic improvements associated with lower oil prices has not been factored in and if the global economy does pick up as expected, this will result in even greater surpluses in the next few years. Finally, this does not account for the pension windfall that the City will receive as the New York City pension funds will exceed the 7% return for this year and add billions to its coffers. In the last two years the NYC pension funds returned 12.3% and 17.4% respectively, meaning they received billions of extra money to use for their budget requirements or put into a "rainy day fund" that are usually not included in the IBO projections..
Did our union sell out cheap? Yes they did but that's water under the bridge and its time to look forward and convince the De Blasio administration to truly improve the schools by reducing class sizes, eliminate the unfair "fair student funding" that forces principals to hire the "cheapest and not the best teachers" for their students. and making sure properly certified teachers are leading students in their subject area. The Ugly Contract - Its In The Eye Of The Beholder. Almost without exception, the New York City teacher blogging community has complained how the union "sold out its members" by negotiating a contract that didn't even equal the inflation rate (1.43%) compared to an inflation rate of 2.31%). Moreover, the retroactive raises were deferred out to 2020 and anybody who resigns, is terminated, or takes unpaid leave are not eligible for the raises or lump sum payments that they should have received back in the 2009 and 2010 school years. Finally, the new contract made ATRs "second class citizens" and the ones who came out of discipline "untouchables". On the flip side are the conservative think tanks, education reformers, and their media allies who believe the De Blasio administration is going to bankrupt the City by giving the teachers a generous contract which is the template for all other non-uniformed unions. Mostly, they object to the awarding of retroactive pay, despite the fact that Michael Bloomberg broke the "City pattern" that created the problem in the first place.and that the City would have lost in arbitration. When Michael Bloomberg decided to break the "City pattern" rather than eliminate or reduce the many wasteful and expensive consultant contracts like Citytime and the 911 fiasco, he was "kicking the can" down to the next Mayor who was dealt a losing hand if he didn't address the retroactive pay raises. For the education reformers it was more about the ATRs not being terminated and the continues favorable treatment of the charter schools at the expense of the public schools. While the uniformed unions ended up with an additional 1% on their contract and the police may end up with a bit more, our members did overwhelmingly vote for the contract, thanks to the union scare tactics and I will not rehash what's wrong with the contract in this post. On the other hand, the Conservative think tanks, education reformers, and their media allies never stop. In today's New York Post, Nicole Gelinas wrote an article claiming the De Blasio administration's "gifts to the unions", especially the teacher's union will eventually result in cuts in services and hurt the poor. In her article she makes the assumption that we will experience a deep recession and that a worldwide slowdown will hurt NYC businesses. While anything is possible, I find it highly unlikely that such a recession, like the last one, will reoccur. Most recessions are shallow and lasts for a year or two and NYC has proven to be diverse enough to weather any recession, even the last one. Was the contract ugly? The answer is yes but it depends on your point of view on why its ugly. Is This The Beginning Of A Teacher Shortage? The TFA program like all other alternative and accredited teacher certification programs have seen a dramatic drop in candidates. Not surprising since the education reform organizations and their media allies have demonized the teaching profession and destabilized teaching as a profession to make a career in. How successful have the education reformers been in demonizing teachers? Very successful. In 2008, 62% of the teachers were satisfied in their job while in 2012 that number dropped to a dismal 39%. With tighter school budgets, higher class sizes, more stress, and high stakes Common Core testing linked to teacher evaluations, that number has probably dropped further. While the recession is over, in education, the devastating effects of recession is still present as teachers retire or leave the profession, they are not replaced. In NYC 50% more teachers decided to retire than the union or City expected and an Arbitrator is helping to rearrange the contract. Moreover, budgets stay tight, in NYC as the school budgets have been reduced 14% from 2008 levels and still froze this year's budget at last year's level while the State has a 2% cap. Finally, the unrelenting attack on teachers continue, be it the Times magazine cover, New York State Governor Andrew Cuomo's attack on the low ineffective rates of the teacher evaluation system he approved, or the Obama Administration's policies that threaten to stop federal money unless States impose a rigorous evaluation system, complete with "high stakes Common Core testing". I predict in the next five years we will see widespread shortages of teachers, especially in New York where a much more stringent teacher certification test has been implemented, as few will go into a profession that is high stress, are disrespected, and receive inadequate pay. Its already starting to show up with the TFA announcement of its closing of their New York City office. Retirees Will Get Their Retroactive Pay In February - Maybe. 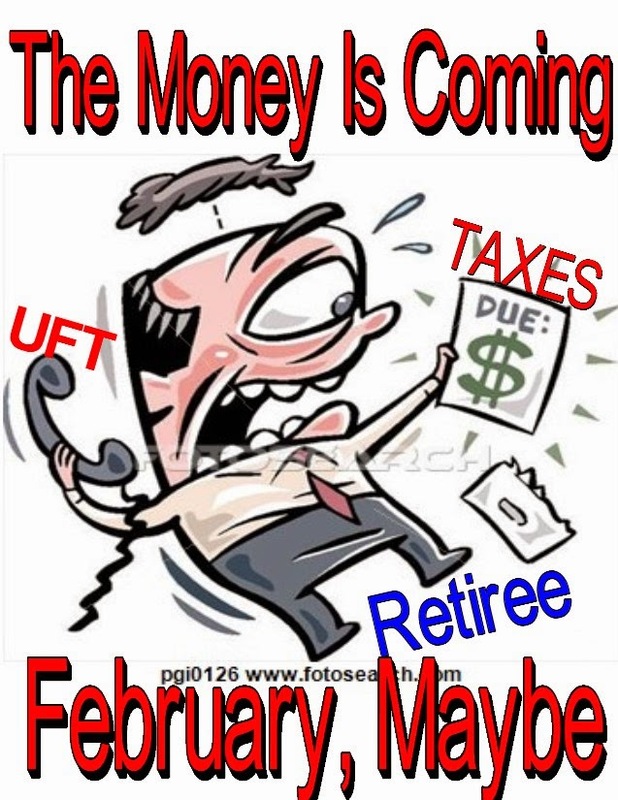 In December the UFT General Assembly was informed by President Michael Mulgrew that the retirees will get their retroactive payments in February. Hopefully, he meant February of 2015 since his union's track record hasn't been too good lately when it comes to those promises to the retirees. Back in June the UFT leadership assured the potential retirees that, at worst, the retroactive payments will be sent to them in October. As October rolled in, the retirees became concerned about the retirement payments. The UFT leadership reassured the retirees that they will receive their payments in November, later on they said it would be paid by Thanksgiving. As Thanksgiving came and went with still no payments to the retirees, the UFT was inundated with angry calls from cash-strapped retirees wanting to know where the money is as they struggle to pay their tax and other bills? The UFT response? "We're working on it". Now the new date is February. Of course Michael Mulgrew didn't say February of 2015 and when the retirees finally do get their retroactive payments, let's say sometime in September of 2015, the UFT will take credit that they pushed the City in giving the retirees the money five months early instead of six months late. Few New York City Teachers Found To Be Ineffective. Governor Cuomo Displeased. 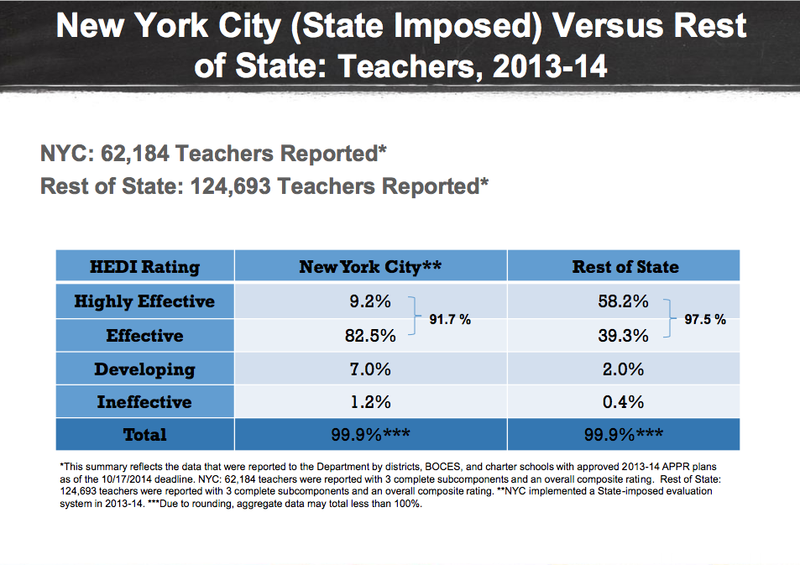 Well, the final numbers are in and, despite the State imposed punitive Danielson Rubric and the "Junk Science", only 1.2% of New York City teachers were found to be " ineffective". This is slightly higher than the rest of the State (0.4%) but still too low for the Governor, ex-Mayor Bloomberg and his friends at Tweed, and the education reformers who were hoping for a 10% "ineffective" rate. The good news was released by the State and Chalkbeat published the report which can be found here. 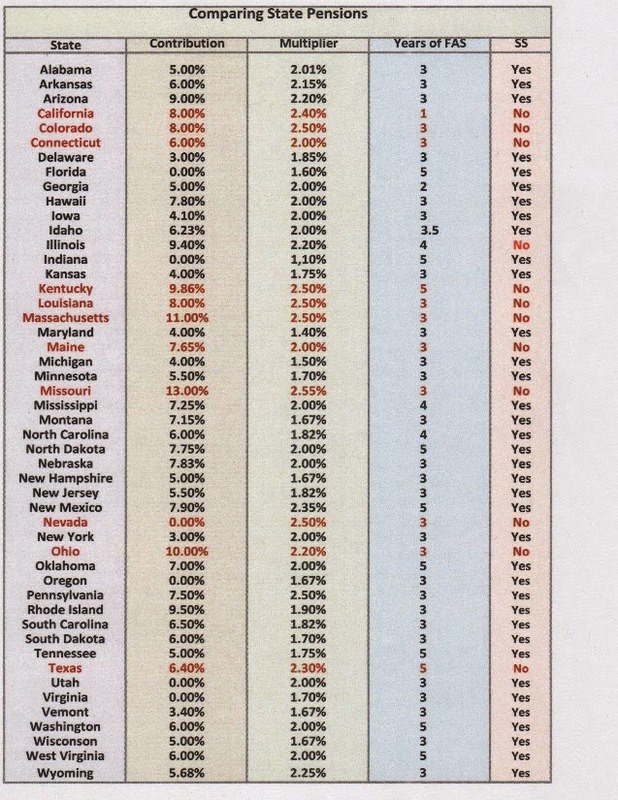 The chart below shows the City and the State teacher ratings. Look for the newspapers to complain, the education reformers to howl with disgust, and the displeased Governor to demand a more stringent teacher evaluation system, since few teachers can be fired on the first round of evaluations. Teacher season is just beginning with the second term of the Governor and a new NYSED Commissioner who's mandate from the Governor will be to go after teachers and not to help the students who will suffer with "high stakes" Common Core tests that they are ill prepared for and "Junk Science" for teacher evaluations. The Governor is a "student lobbyist"? Not according to most real educators. Common Core Is A Disaster For Special Needs Children. 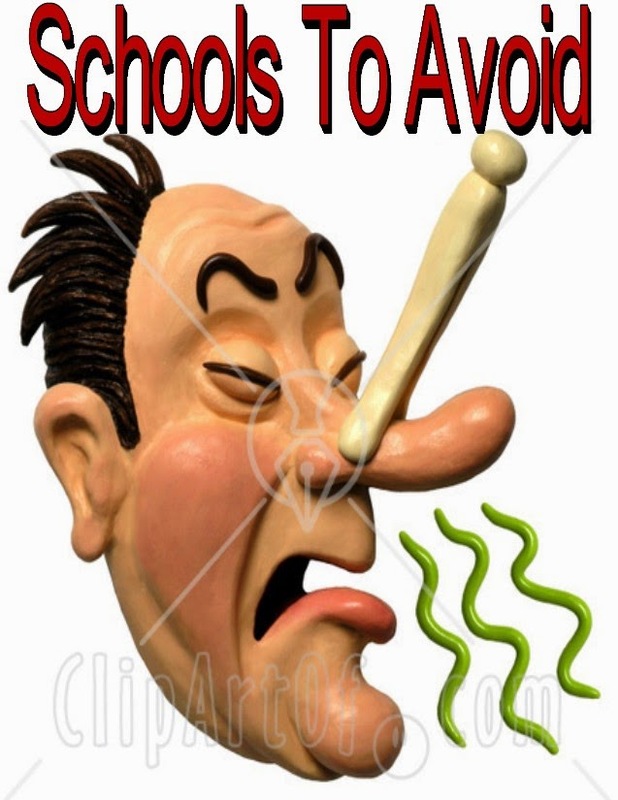 Most classroom teachers know that Common Core has been a disaster and the "junk science" in the form of high stakes testing that goes with it has resulted in most students not meeting the standards and adversely affect teacher evaluations with unjust terminations. Unfortunately, from the Obama Administration, to Cuiomo, to De Blasio and his disappointing Chancellor, Carmen Farina, all have supported the Common Core. Worse, our union President Michael Mulgrew has threatened to punch anyone in the face if they take away his Common Core. Until Common Core collapses like a "house of cards" and it will, expect it to stay for the next couple of years and destroy the lives of students and teachers alike. One bit of good news is that Andrew Cuomo is forcing out NYSED Commissioner John T. King and maybe things will change for the better (don't bet on it) However, that's for another day. 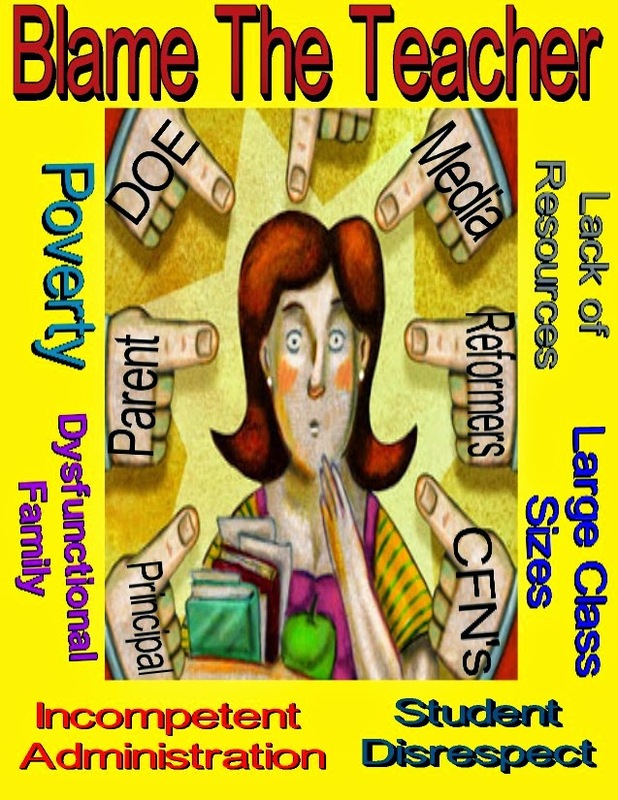 This post is about the collateral damage that Common Core and its rigor is doing to our most neediest of children in the school system and nobody in charge seems to care. I have a very close friend who works in District 75 and with the most severely disabled children who are classified as being both autistic and mentally retarded. She is a teacher in the most restrictive 6:1:1 classroom and has spent almost two decades teaching these children life and fundamental skills so that they can be productive adults and contribute to society. Many of her students stay with her for up to three years and by the time they move on she has taught them many social and fundamental (life) skills that allow them to become functional adults. 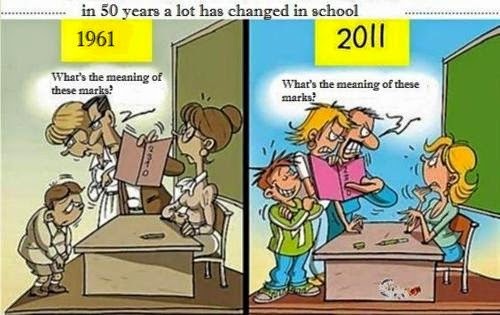 However, because Common Core and its associated rigor has infiltrated even to the Special Education District 75, she finds herself being forced to teach them geometry and social studies rather than the skills they really need like using money to buy items in stores and teaching them social cues. 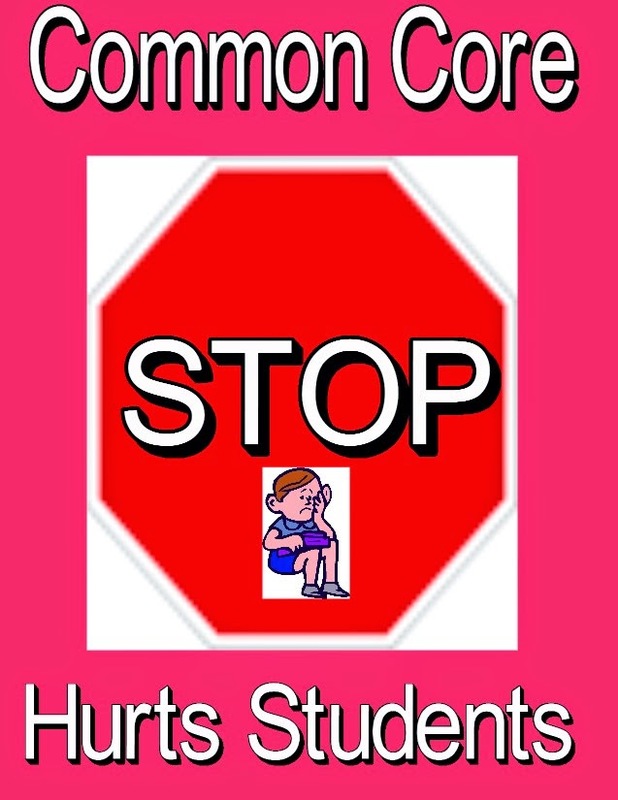 Worse, the Common Core and its associated rigor requires even autistic students to communicate and work cooperatively with their peers despite the fact that these students struggle mightily to do either one and frustrates them to the point they shut down and become uncooperative. My friend is clearly frustrated herself as she has seen her mission change from teaching them coping skills and civics to questionable academics that have little or no impact on their life, or ever will be. Instead of taking her students on field trips to stores and have them buy items, given a limited amount of money and going over a shopping list of what to buy and not to buy. She finds herself giving her students Common Core Math workbooks that makes little sense to her and makes her students unhappy. Furthermore, she used to walk her students around the neighborhood and go into the local stores while teaching them appropriate behaviors as they interact with the general public and go over what each traffic and parking sign meant. Now she gives them Common Core workbooks on our country's history and about the Presidents and worries what will happen to her students when they become adults? 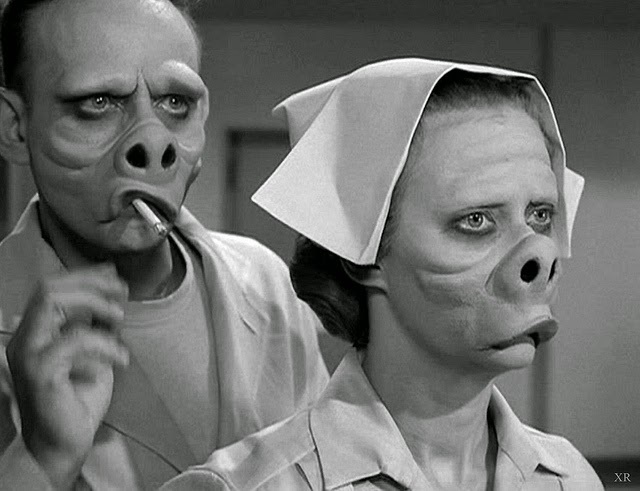 In a job she loved and took pride in making the most developmentally disabled students functional citizens of this country, she finds herself counting the days until she retires as she wastes her time doing outrageous amount of paperwork using the SESIS program, day and night without payment and giving out useless Common Core workbooks while defending her teaching skills to meet the ill-defined rigor demanded by her administrators. To her, Common Core is an unmitigated disaster and hurts the very students who need the help the most. Comparing Our Pension With Other State Pension Plans. How does our pension plan compare to other State pension plans? The answer is our pension is one of the better ones, assuming you're Tier 4 and are covered by Social Security (SS). Even Tier 5 compares favorably with only a 3% contribution rate. However, for those under Tier 6, it falls close to the middle of the pack.There are some States that have it as good as us, like Utah, Delaware, and Virgina but none have it better than New York. In my opinion, New York's pension calculation is one of the most generous giving a twenty-five year employee a 50% pension and add that to the Social Security check and you have about a 75% replacement of your working salary, that's a pretty secure retirement. While the pension multiplier for some states are higher than New York's (2.0%), many of them are not part of the Social Security system and even using the highest multiple of 2.5% used by these States for a twenty-five year employee, the yearly difference would only be $12,500, less than half of what one can expect from Social Security ($26,000). Furthermore, all but Nevada requires large employee contributions ranging from 6% (Connecticut & Texas) to a whopping 13% in Missouri. Even California who many consider having the best pension system in the country, requires an 8% employee contribution with no Social Security coverage. I'll take New York's pension system anytime over California's or any other State's for that matter. The table above compares all the states pension calculations, except Alaska since they do not have a defined benefit pension plan. Yet another Principal, with a record of allegations against him, is still in charge of his school despite having two separate lawsuits filed against him by female staff in federal court who claim that he harassed them out of the school. The Principal is none other than Leadership Academy Principal Howard Kwait of John Browne High School. Mr. Kwait has been in the news previously for his questionable actions as Principal. In June of this year investigators reported three separate cases of harassment by staff but the DOE chose to ignore the investigator's report. Before that the Conflict Of Interest Board fined Mr. Kwait $4,500 for his vacations with a school aide. It was at John Bowne that an Indian diplomat's daughter was falsely arrested for cyber bullying and eventually won a lawsuit against the City, school, and the Principal which resulted in a $225,000 settlement from the City for the false arrest. Principal Howard Kwait is just another example of the DOE's "double standard" that ignores evidence against administrators while removing teachers and filing 3020-a charges against them for far less offenses and allegations. To find an updated list of Administrators in need of improvement go to the DTOE website. Queens High Schools To Avoid. The DOE's "High School Quality Snapshot" contains some very interesting information and two categories in the report sparked my interest. They are "would teachers recommend their school to parents" and "do students feel safe in their school"? Both categories, when put together, gives a educator some very important information whether to apply or accept a position at schools that rated low in one or both categories. The first list is more about how the school administration treats their staff and students. While the second list is about how well the school handles student discipline issues. The first list are the schools who rated lowest in the category "teachers would recommend this school to parents". The citywide and borough average is 81%. The second list, are the schools rated lowest in the category "students feel safe in the hallways, bathrooms,locker rooms, and cafeteria". 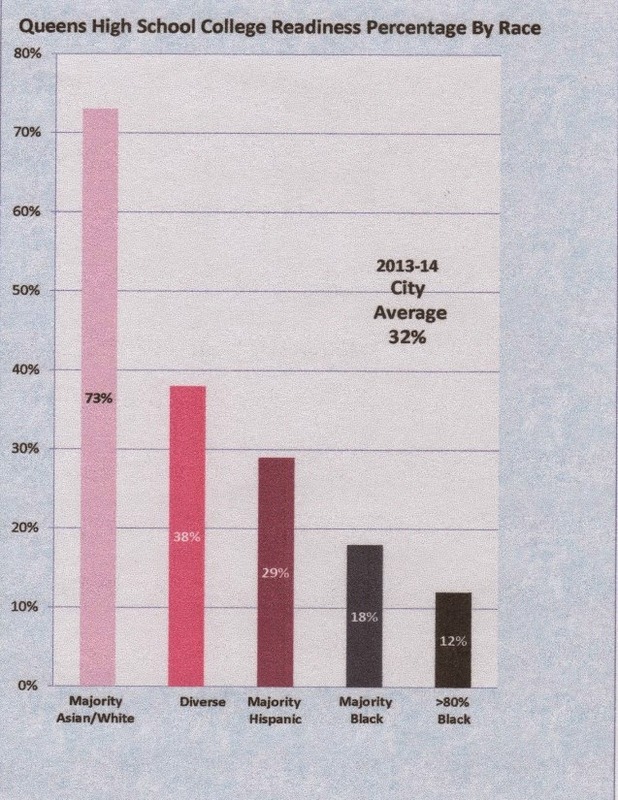 The citywide average is 76%. The borough average is 82%. The final list combines the two lists and ranks the school based upon lowest total percentages and these are the top twelve schools to avoid at all costs. The school ranked #1 is the Math, Science & Research Technology Magnet school in the old Andrew Jackson campus, with the infamous Leadership Academy Principal, Jose Cruz in charge. Yes, the same Jose Cruz who gave 33% of his staff "unsatisfactory ratings" in 2013 and according to the Organizer 23% received "ineffective" from him last year (August Martin had the highest at 27%). Furthermore, only 12% of the staff believe Principal Cruz was an effective manager. Add this year's list to last year's list and none of the schools on the four lists are schools I would be happy to work in and hope I never do. 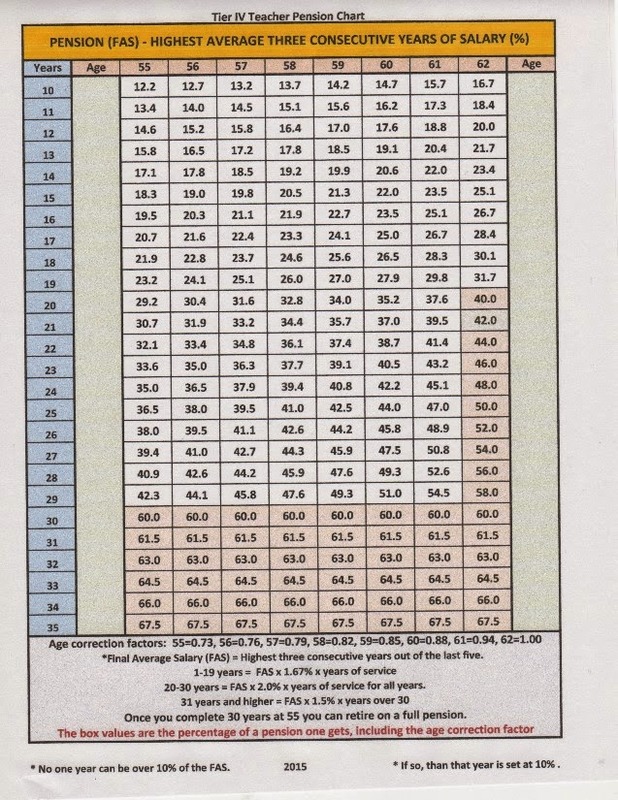 A Simple Chart To Determine Your Tier 4 Pension. Despite the many retirements in the last few years, the bulk of educators in the NYC school system are still covered under New York State's Tier 4 pension system. Therefore, I prepared a simple chart that helps one to determine their pension at retirement. The chart shows the percentage of the Final Average Salary (FAS) that the educator will receive, based upon age, and years of service. This chart excludes any educator who participates in the 25/55 program and those who receive a disability pension. The FAS is calculated as the highest three consecutive years which are usually the last three years that an educator works. However, to ensure that the educator doesn't pad their pension in the last year, there is a 10% cap. That means that if any one year is greater than 110% of the FAS, than that year's salary is capped at 110% and not higher. To get a present day estimate of your FAS, you can go on the TRS website and look it up under benefit estimates . However, the TRS website does not include per session, coverages, or 683 money in their pension calculation, just your base salary. The years of service is credited when you have completed the year not at the start of the year. The multiplier used to determine the educator's pension is based upon the years of service completed. The table below shows the completed years of service and the multiplier. * Note: the 1.5% multiplier is for every completed year above 30. No educator can receive a regular pension before the age of 55. Between 55 and 61 years of age, the pension is reduced by the age correction factor. However, if the educator is part of the 25/55 program or has completed 30 years of service, no age correction factor is used. Finally, the chart assumes the maximum single educator payout (option 1). If you intend to put a spouse as a recipient of your pension, the final pension will be reduced by as much as 15%, depending on the option selected and the age of the spouse. Educator with 15 years experience with an FAS of $85,000 wants to retire at 57. Educator with 25 years of experience with an FAS of $104,000 wants to retie at 62. Educator with 34 years of experience with a FAS of $110,000 wants to retire at 55. $110,000 x 66% = $72,600. Educator with 22 years of experience with a FAS of $102,000 wants to retire at 55. $102,000 x 32.1% = $32,742. Educator with 10 years of experience with an FAS of $75,000 wants to retire at 55. $75,000 x 12.2% = $9,150. Comparing Two Similar Schools With Different Academic Outcomes. In my previous post where I compared the Queens high school's racial composition with the "college readiness scores" and found that schools with a high concentration of black students had, on the average, the lowest "college readiness scores". As expected, I had some real push-back publishing the data. Included in this push-back was a popular and well-respected blogger who told me that I didn't account for the dumping of a large percentage of "high needs students" that made these schools low preforming. He further stated that I was using the same methods that the Bloomberg administration did by dumping "high needs students" in these struggling schools to justify their closing. 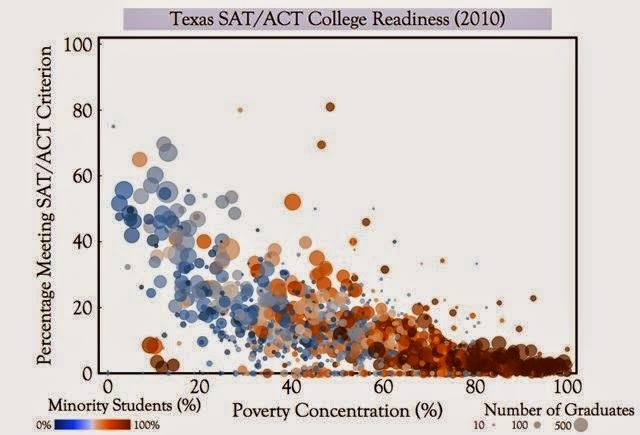 Therefore, to prove that's not the case, I decided to look at two similar small schools with nearly identical SAT scores and who had single digit Asian/White populations, to see if there was dumping of "high needs students" and did it result in one school having much lower "college readiness scores" than the other. The two schools selected was the Civic Leadership Academy (24Q293) that has a 78% Hispanic student body and the Humanities & Arts Magnet High School (29Q498) with a 80% Black student body. The three parameters I used came from the 2013-14 High School Quality Report and were the percentage of English Language Learners, Special Education students, and Free Lunch, used as a marker for poverty. The table below compares the two schools. When one looks at the three parameters, you would think that the higher "college readiness scores" would be found with the school; with the lower percentages of the three categories. Wrong! The Civic Leadership Academy had a "college readiness score" of 28% while the Humanities & Arts Magnet school had a dismal 5% "college readiness score". Since the SAT scores were nearly identical at 1208 at Civic leadership and 1209 at Humanities & Arts. 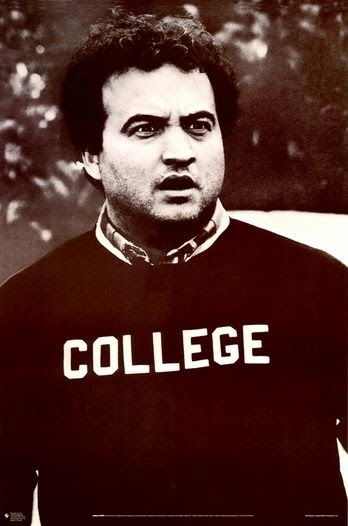 What accounted for the different "college readiness scores" between the two schools? The answer is the educational culture of the different student population of the two schools. At the Civic Leadership Academy, the student body comes from families and communitioes that apparently value education while the student body at Humanities & Arts Magnet School come from families and communities that apparently don't seem to value education the same way. One thing is obvious, the poor "college readiness scores" at Humanities & Arts were not due to the dumping of "high needs students" into the school but is caused by other factors. I don't pretend to know the answer but if one looks at the social-economic factors like family and community impacts on the academic outcomes of the child, it will go a long way in identifying the problems associated with poor student academic achievement. How Many ATRs Are In The ATR Pool? One closely held secret that the DOE and UFT don't like to share with the general public or even the employees is the number of ATRs in the ATR pool. However, thanks to a FOIL by Francesco Portelos and the ATR Alliance (ATRA), as of September 10th, 2014 the number is 1,890, excluding ATRs who were provisionally hired by that date and that is 90 more ATRs than the same date last year. That number is much higher than the UFT leadership claim of 1,600 in their September Executive Board meeting. The ATR numbers include all teachers, guidance counselors, school physiologists, and secretaries. But does not include CSA members, ATRs who were provisionally hired and ATRs who already took long term leave replacement positions. That means that under the so-called "progressive" Bill de Blasio administration, there has been no real reduction in the ATR pool, despite the ATR buyout and pension incentive that should have seen a significant reduction of ATRs. Instead it actually increased! What a total failure by the DOE and UFT in their aim to drain the ATR pool! In fact, using the June figures the DOE gave the media, it cost an average of $127,000 for each ATR, including fringe benefits. Therefore, it will cost the DOE 240 million dollars to fund the ATR pool, just to preserve the Bloomberg ideology rather than placing the ATRs back into the classroom to help the students. The only way to reduce the ATR pool is to eliminate the "fair student funding", and to bring back preferred hiring that brings in "mutual consent" and requires principals to hire ATRs for their vacancies, no other method is acceptable. DTOE's Administrators In Need Of Improvement. 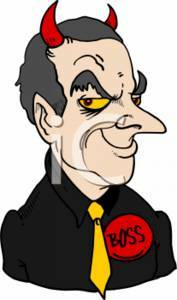 The DTOE blog, known as Don't Tread On Educators, has developed a list of school administrators that are in need of improvement. They call the list ANOI. This list was developed by the DTOE group from nominations by educators who had the displeasure of working with these administrators. This replaces the highly popular PINI (principals in need of improvement)articles that our disconnected union leadership has decided to discontinue under pressure from the CSA. When asked why the union discontinued the PINI articles in the New York Teacher magazine, one union leader claimed that we don't attack fellow union members. I guess the police are not considered fellow union members or is it simply selective memory by our union leadership's part. The DTOE list for ANOI can be found here. Note the map of the ANOI schools first show up and if you click the icon on the map the school name and address shows up. .Below the map are the ANOI list. Click on the name and the school with a short bio appears about the administrator. By no means, is the list complete and if you go to the DTOE site you can include your administrator to the ever growing list of administrators in need of improvement. The DTOE blog is for all educators and provides important information about educator rights such as how to FOIL the DOE. More importantly, the DTOE is interested in having non-tenured educators join them as they represent many educators who were unfairly terminated or threatened with a discontinuance by vindictive administrators. If you go to my "bad principals" section, you can add a couple of more to the ANOI list. When It Comes To College Readiness, Race Matters. One of the third rails of education policy is the inclusion of race in evaluating academic achievement. Politicians and the media will look the other way or ignore the inconvenient truth that a school's racial composition is an important parameter in the academic outcomes of the students of that school. Better to blame teachers and their tenure than to actually investigate the data to determine the cause of poor student academic outcomes. Therefore, I took the DOE's "High School Quality Snapshot" for the 2013-14 school year of all the Queens High Schools and compared their racial composition with their "college readiness" percentages and found that race does matter. I used the "college readiness" percentage since its more difficult for schools but not impossible to manipulate as the other parameters are. For some reason the way the City calculates "college readiness" is different from the State and is higher than what the State calculates as college ready. To simplify the comparisons I placed schools in five categories. These categories are Majority of Asians and Whites, Diverse (no majority by any races), Majority Hispanics, Majority Black and schools that were 80% or more Black. Admittedly, one can find fault in how I selected the categories but this seemed the most appropriate way to determine if the racial composition of the schools correlated with the "college readiness" percentages listed for each high school school in the DOE snapshot. The results were very disturbing as the data showed that the schools who had the highest "college readiness" percentages had a majority of Asian and White students while the lowest percentage of "college ready" students were in schools that had a black population of 80% or greater. The table below and the graph above summarizes my findings. Not surprisingly, the screened and specialized schools showed the highest "college readiness" percentages and they usually have a majority of Asian and White students. However, even if you eliminated those schools from the data, the majority Asian and White schools still had a "college readiness" percentage of 55%, significantly higher than the diverse category, where no majority exists and includes some screened and audition schools as well. The lowest college ready scores listed by the DOE snapshot are all found in primarily black schools. Listed below are the schools with the lowest "college readiness" percentages. Blaming teachers, administrators, and schools for the poor academic outcomes is not only wrong but misguided. The DOE snapshot clearly shows that schools with high percentages of Black students are associated with low "college readiness" percentages which strongly indicates that its the social-economic factors that affect student academic outcomes, like poverty, community, and family. When one looks at the DOE "High School Quality Snapshot" the racial composition of the school strongly correlates with the "college readiness" and academic outcomes of the school's student population. In this case race matters. Winners Of The 2014 Golden Turkey Award. 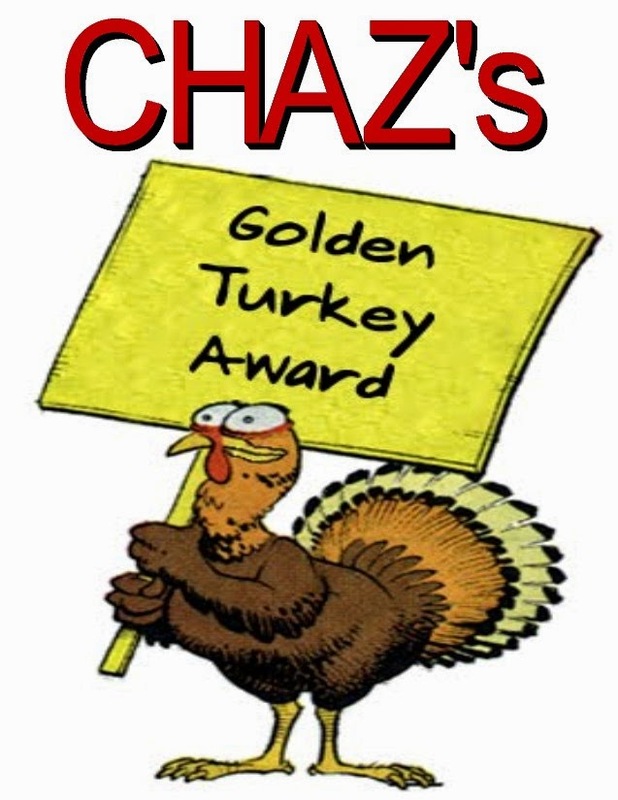 This year saw tremendous competition for the Golden Turkey Award. There's State Education commissioner John T. King, a past winner, who rolled out the Common Core and teacher evaluation requirements in a confusing and unworkable way that even Governor Andrew Cuomo backed away from it. Then there's the Board of Regents that approved a charter school in Rochester proposed by a 22 year old who was home schooled and received dubious online degrees, only to resign when it was exposed. Then there's Campbell Brown, always a contender as well as the Governor. However, these two individuals won, head over heels, the Golden Turkey Award for 2014. They are UFT President Michael (don't call me mike) Mulgrew and Chancellor Carmen Farina. Michael Mulgrew gets the Golden Turkey Award for two disgraceful actions he has taken in 2014. the The first was a vastly inferior contract that has split his members into two groups, winners and the losers. 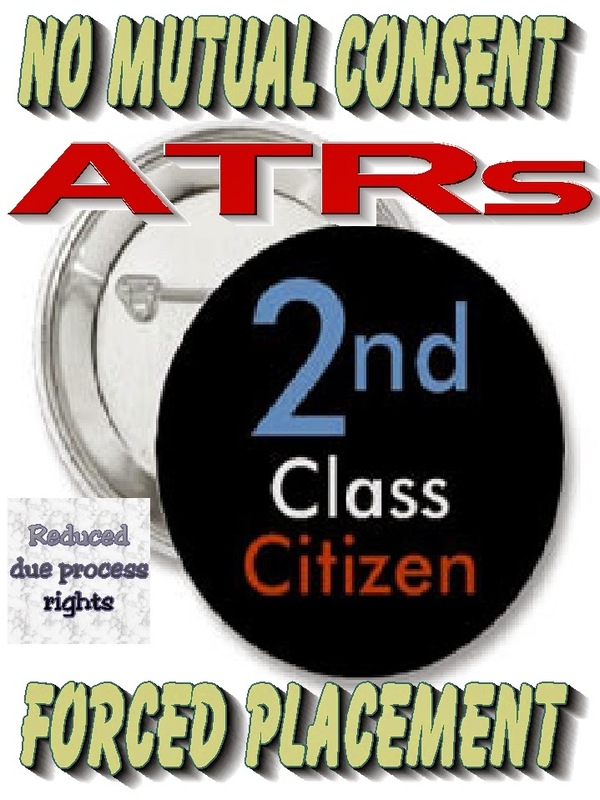 In addition, the ATRs were given second class citizenship and reduced "due process" rights. Worse, was his defense of the Common Core standards where he claimed he will "punch anyone in the face" if they attack his Common Core which many of his members and many parents oppose. 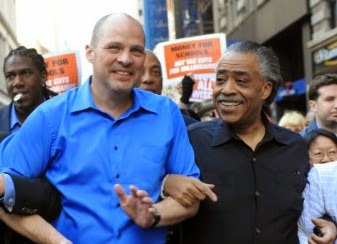 Finally, under his leadership, the union has become increasingly disconnected with the members as his political philosophy is more important than what is best for the members as he required the union to co-sponsor and fund the divisive Al; Sharpton lead march in Staten Island. Carmen Farina became Chancellor amid great hopes that she would change the political philosophy that resulted in antagonism between the DOE and the schools. Instead, she has only made some minor changes and retained the Bloomberg 300 in policy making positions. Who can forget during the worst snowstorm of the year she unwisely kept schools open and had her Cathie Black moment when she said this infamous statement. "its a beautiful day" when it was snowing, and sleeting. Moreover, she has failed to reduce class sizes, eliminate the useless and money sucking Children First Networks, or reduce the obscene amount of paperwork required by Tweed. Finally, she has not improved the hostile classroom environment or "gotcha mentality" that exists at Tweed. To say the least, Carmen Farina gas been a major disappointment. Past winners of my golden turkey award are here. Its Quantity And Not Quality When It Comes To Hiring Teachers In The NYC Public Schools. With the unexpected wave of retirements, the NYC public school system had to hire 6,000 new teachers. You would think that many schools would be thrilled to replace their retiring teachers with experienced teachers since it would not significantly affect their budget. Guess again, the schools, rather than during what's best for their students, instead saw an opportunity to hire novice teachers and in some cases getting two for the salary of the retiring teacher. Meaning quantity over quality at the expense of the academic outcomes of the school's students. In other cases the principals reduced their staff salaries and used the additional funds for their own pet projects. Unfortunately, the NYCDOE is famous for its "education on the cheap" policies when it comes to funding schools and the classrooms. To ensure that schools suffer from tight budgetary constraints, the DOE imposed the "fair student funding" formula on them that forces principals to hire the "cheapest and not the best teachers" for their students. Is it any wonder that student academic achievement has shown little or no gains and the racial/income achievement gap is as wide as ever? 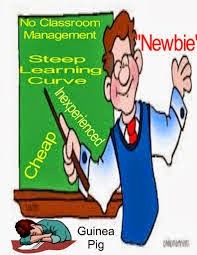 Novice teachers suffer from a steep learning curve, in acquiring effective teaching techniques, fully understanding the curriculum, developing classroom management skills, and staying power as 50% of the "newbies" leave the classroom within five years and 80% leave the school they started in. What a waste of money in training and time when only 20% of the "newbies" will be in the school by the time they get tenure and are considered "quality teachers". Moreover, how unfair is it to subject the students as guinea pigs to untested teachers who may or may not even last the school year? Too bad the mass media choices to ignore the DOE's "education on the cheap" policies that hurt student academic achievement but loves to demonize the teaching profession, especially ATRs. During last week's cold snap an eighth grade child, I will call her Clara, did not show up to school or attend her after school program. Later that night, the coldest night of the new school year, with temperatures dropping into the low 20's and windchills in the single digits, the teacher was giving out free turkeys for Thanksgiving at the school and who shows up? Clara, with her mother and little sister in tow. The teacher asked Clara's mother why Clara was not in school that day, the mother responded in a calm voice "because it was too cold and I kept Clara home". Here is the problem, Clara is a struggling student and is in danger of not moving up to high school as she is academically behind her peers. The teacher told me that Clara has learning difficulties and instructions must be kept simple and short. Clara has difficulty in completing tasks and cannot do complicated learning assignments. As you might expect, she gets frustrated and exhibits behavioral issues due to her inability to complete or fully understand her assignments. Clara lives with her grandmother and her mother has given most of the responsibility of raising Clara to the grandmother.. To the teacher's knowledge there is no father or male authority figure in her family. Worse, when the weather is bad, Clara fails to show up to school. What is going to happen when winter is here to stay? That brings me back to Clara's mother. How can a parent allow their child to miss school simply because its cold? More importantly, why doesn't the City hold this parent responsible for educational neglect? Yet, this parent, when offered a free turkey, took Clara and her little sister on the coldest night of the school year to school so that she can get the turkey. What kind of message is that sending to Clara and her younger sister? Education reformers like to blame poor student academic achievement on bad teachers and schools. 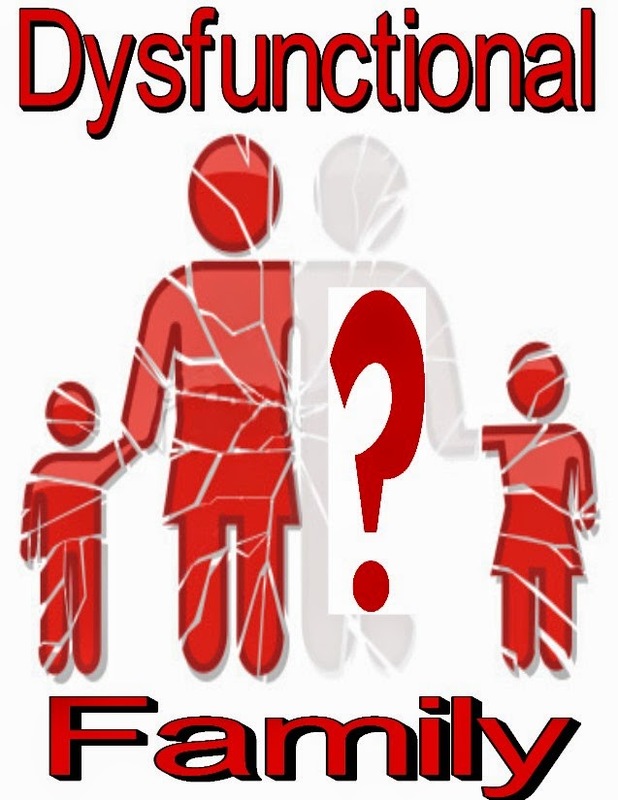 However, when these children are raised by dysfunctional families that lack parental supports and role models, they end up coming to school educationally, emotionally, and physically damaged. Moreover, many of these children experience deep poverty feel unsafe and food insecure, yet that are deliberately ignored by the education reformers. That's why the ex-Chancellor Joel Klein's statement that "poverty is no excuse" rings hallow when faced with the damaging reality of how poverty and the dysfunctional family affects student academic achievement. No matter how one looks at it, getting families back together and providing them support is the most important factor in improving student academic achievement. The Small Schools That Replaced The Large Comprehensive Schools Are A Failure. During the Bloomberg years, the city came up with the bright idea, advocated by Bill Gates and then abandoned as not the answer, that closing the large comprehensive schools in poor communities and replacing them with smaller schools will improve student academic achievement. These small schools will show an improved graduation rate and "college and career readiness" rates. Well the graduation rates did improve, thanks to "credit recovery", Principal pressure, student exclusionary practices, and questionable grading policies. However, the "college and career readiness" rates cannot be manipulated and these rates clearly show how much a failure these small schools have been when improving academic achievement. Lets look at the 2013-14 school year "college and career readiness" scores of the small schools that replaced the large comprehensive schools in Queens. The citywide average "college and career readiness" rates is 32% while the average in Queens is 36%. Since the Beach Channel and Jamaica high schools have closed this year, the small schools that inhabit the campuses are new and were given extra funding and allowed to exclude "high needs students" from the schools to ensure that they succeed. Therefore, they were not included in this post until there is a real track record for them. The relatively high "college and career readiness" scores of the small schools at the Springfield Gardens complex will rapidly drop as the data reflect the last year of the new small school exclusion policy that kept low achieving students from being accepted to the schools which is no longer the case. For comparison what were the "college and career readiness" rates of the large comprehensive high schools that the Bloomberg administration tried to close but failed to get court approval? The average "college and career readiness" scores of the eight large comprehensive Queens high schools, slated for closure but spared by the courts is approximately 18% while the small schools created at the four closed large comprehensive high schools averaged only 14%. If one uses the "college and career readiness" scores, its obvious that the small schools carved out of the closed large comprehensive high schools have not shown any real academic improvements. In fact, that might be even worse once the small schools have a longer track record and cannot exclude "high needs students" as the Campus Magnet schools (Andrew Jackson Campus) have shown.. The Field Supervisor From Hell. The story starts innocently enough. The field supervisor, a retired middle school principal from the Bronx, formally observed the teacher in her contact area (Biology) and gave her a "satisfactory rating". End of story? Not quite. At the end of the class the field supervisor told the ATR that her classroom pedagogy was "unsatifactory". Why you ask? Here's why according to the field supervisor. Third, The field supervisor claimed the lesson was disjointed. However, the lesson came from the absent teacher and not the ATR. How can he blame the ATR for somebody else's lesson? Finally, the field supervisor saw no common core or rigor in the lesson. Really? Didn't the lesson come from the absent teacher? What was the ATR to do, ignore the lesson and risk being insubordinate or follow the school's direction and hand out the absent teacher's assignment? Moreover, the ATR is a Science teacher and how can she add common core based rigor in a subject she has little knowledge of? The Mutual Consent Provision Does Not Apply To ATRs. One of the changes in the DOE hiring process was the "mutual consent" provision that our union unwisely allowed back in the infamous 2005 contract. The "mutual consent" provision allows principals to determine who to hire for their schools and can refuse any teacher sent by the DOE for any or no reason whatsoever. In other words the Principal must consent to have a teacher assigned to their school and can remove the provisionally appointed teacher whenever they want, be it one day or at the end of the school year. However, when the it comes to the ATR rights, there's no consent as the ATR is "forced placed" against their wishes. What happened to "mutual consent" when it comes to the ATRs? If an ATR refuses a provisional appoinment or leave replacement they are assumed to have voluntarily resigned. No ATR consent is necessary nor is one required. You take it or else you lose your job. Already the DOE tried to "force place:" me in a Middle School. Thankfully, since I am a licensed High School teacher the union was able to cite a violation of the contract to get the DOE to rescind the "forced placement". However, this very same school is setting up mandatory interviews and making high school teachers do demo lessons when these interviews are not mandatory! The union must be proactive and put a stop to this abuse at once. If the Chancellor wants "mutual consent" then the consent must be mutual for both sides and ATRs should have the right to refuse an assignment if the fit is not right. That's only fair. South Bronx School Will Be On The Radio Tomorrow. South Bronx schools, awaiting his 3020-a hearing, will be on WFAS 1230 tomorrow morning. I'm sure he will talk about his upcoming 3020-a hearing and the DOE charges they hope to terminate him with. This case is interesting since his Principal had apparently written an email back in the summer of 2012 to her assistant principal discussing how to charge the satisfactory rated teacher with incompetence in the next year. Yes, the following year and that, to me, is premeditation! You can see the email Here. One would think that the 3020-a arbitrator will not look kindly at the DOE's case once the Principal's incriminating email is put into evidence and hopefully allow South Bronx to continue teaching. If you have the time South Bronx's radio interview will be at 6:35 to 7:20 am tomorrow morning. Please listen. If you cannot get the station on the radio then its streamed live. 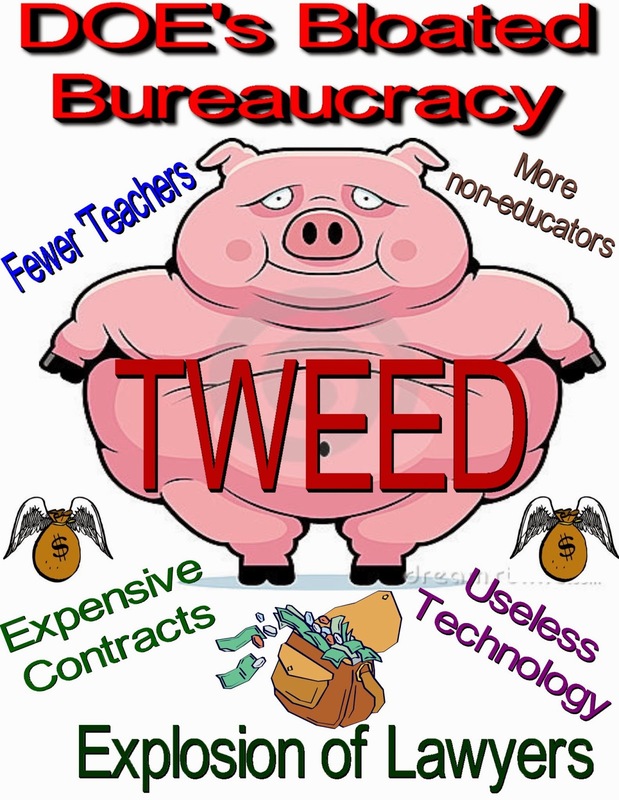 The DOE Bureaucratic Machine Is Broken And Only A Complete Overhaul Will Fix It. Educators have known for years that the DOE is dysfunctional and broken and is need of a complete overhaul. There was a momentary hope that the new De Blasio administration would appoint a Chancellor who would sweep out the Bloomberg era policy makers. 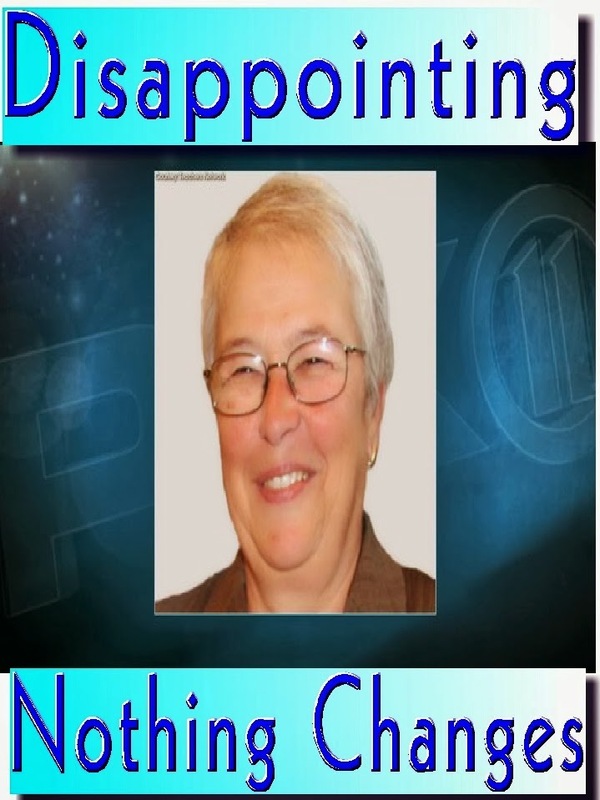 However, the new Mayor appointed Carmen Farina who has been a major disappointment, to say the least. She has retained the Bloomberg 300 and even promoted Bloomberg era holdovers such as Kathleen Grimm, known as the "Grim Reaper". for her part in closing many of the large comprehensive high schools in the city. money sucking "Children First Networks", and the top down management from the bloated bureaucracy, full of high salaried managers and high priced consultants. The disappointing Chancellor has not reduced the obscene number of people in the accountability and legal departments that exploded during the Bloomberg years Moreover, her failure to eliminate the perverse "fair student funding": formula that has resulted in principals having to hire the "cheapest and not the best teachers" for their school and to allow for the continuation of the ATR pool have added to her disappointing tenure as Chancellor. Finally, in an effort to squeeze every dollar out of an already tight school budget, she has failed to reduce class sizes or hire the proper amount of school staff, be it teachers, guidance counselors, and librarians at the expense of their students' academic achievement. Unfortunately, Chancellor Carmen Farina's tenure has resulted in little change from the Bloomberg years and the DOE remains bloated, dysfunctional, and lacks transparency. Furthermore, the excessive paperwork required by the DOE for their mindless data mining projects continues and the hostile classroom environment still exists to this day. Until the DOE's bloated bureaucracy is completely overhauled, don't expect any real change in the classroom and student academic achievement. update: The DOE has finally taken its first steps in eliminating the useless technology called ARIS. A $95 million dollar failure in which only 16% of teachers and 3% of the parents actually bothered to use the system. This was Joel Klein's baby and the DOE kept it despite its obvious failure. An added bonus is that Joel Klein's company Amplify, will also lose their contract to service ARIS that has cost over $10 million dollars since 2012. The Daily News article is Here. Its Time For ATRs To Have Their Own Chapter. Before the signing of the new contract, the UFT said the reason there was no need for a Chapter for ATRs was that the ATR was transitional and temporary and that once Mayor Bloomberg was gone the ATR situation would be resolved. However, instead of the ATR crisis being resolved, under the new contract the ATRs are now a separate class of educators and in too many cases, are no longer temporary or transitional. Now, the ATRs have different rules when it comes to interviews and discipline and are afforded reduced "due process rights". For example if an ATR misses two mandatory interviews or not show up to work for two days, they will be considered to have voluntarily resigned. Moreover, if an ATR shouts in the halls or refuses an administrator's order to do more than one circular six chore, the ATR is accused of "problematic behavior" and if two consecutive principals say so, the ATR is terminated after an expedited one day 3020-a hearing, or the DOE so hopes is the case. Finally, the UFT and DOE have agreed to allow field supervisors to give "unsatisfactory observations" to ATRs who are not teaching in their subject area and have faced a class for the first time that day. Therefore, it's necessary for the ATRs to have one of their own to represent the ATRs at the Executive Board, Delegate Assembly, and at Chapter Leader meetings. 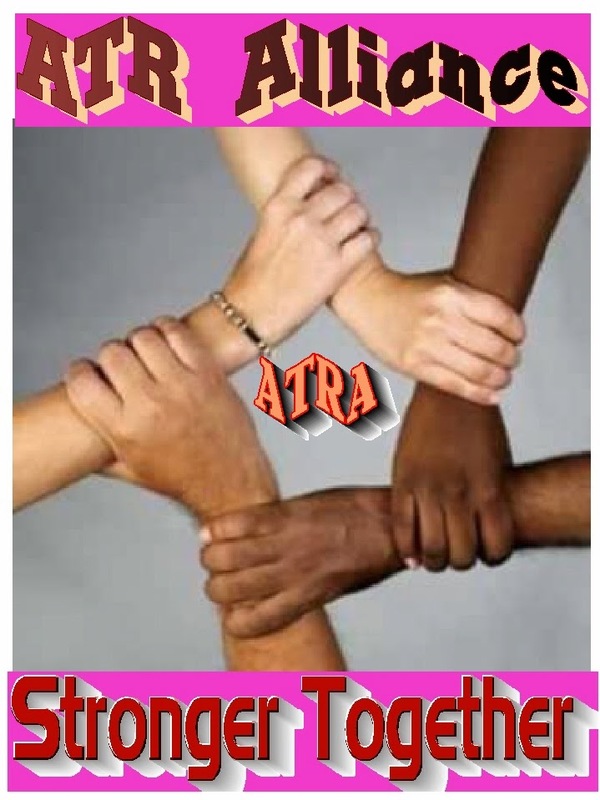 As of November 11, 2014, the Absent Teacher Reserve Alliance (ATRA) was formed to push for such ATR representation at the UFT. This group is open to all and includes all of the different caucuses, ICE, New Action, MORE, Solidarity, and yes even "Unity". The elected President of the ATR Alliance is James Eterno, a past Presidential candidate for the UFT and one of the most knowledgeable UFT members when it comes to member contract rights. Mr Eterno will meet with a committee of five elected Borough representatives to discuss issues concerning ATRs and the ATR process and advocate for fair treatment for all ATRs. 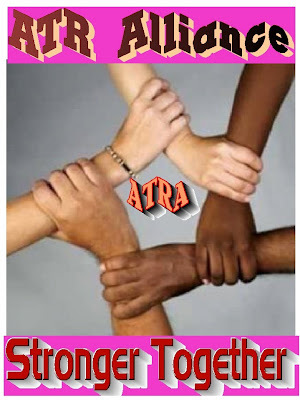 Furthermore, the ATR Alliance (ATRA) will give guidance, advice, and prepare grievances for any ATR who has been wronged by the school or field administrators. All ATRs past, present, and future are encouraged to join the ATR Alliance and give us a voice in protecting our rights as educators. More information on how to join and who to contact will be published in this, the UFTICE blog, and DTOE Blog as well as other NYC education blogs.